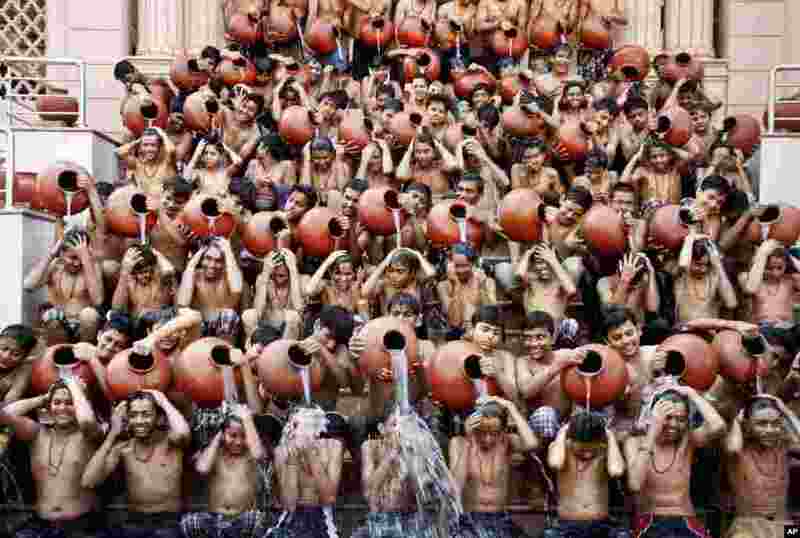 1 Indian students pour water on each other as part of a ritual bath on the eve of Magh Purnima in Ahmadabad. Many Hindu devotees take a holy bath during the auspicious festival hoping that their sins are washed away according to ancient Hindu tradition. 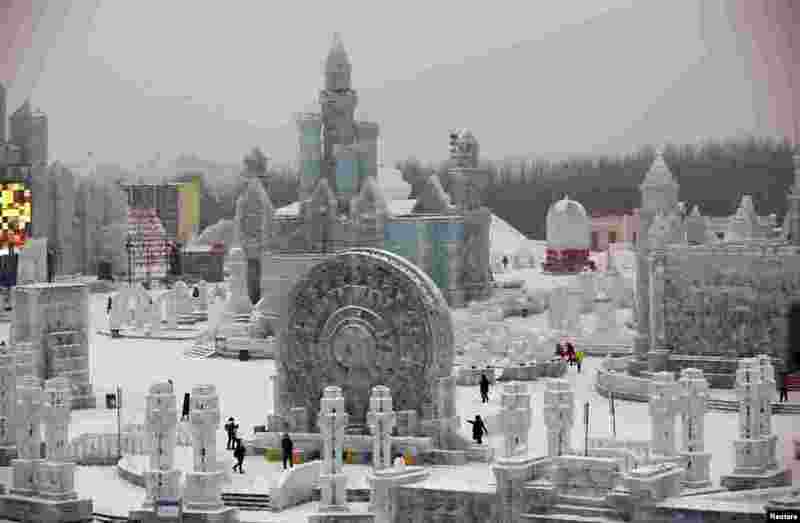 2 Visitors look around ice sculptures ahead of the 31st Harbin International Ice and Snow Festival in the northern city of Harbin, Heilongjiang province, China. The winter festival will be officially opened on Jan. 5, 2015. 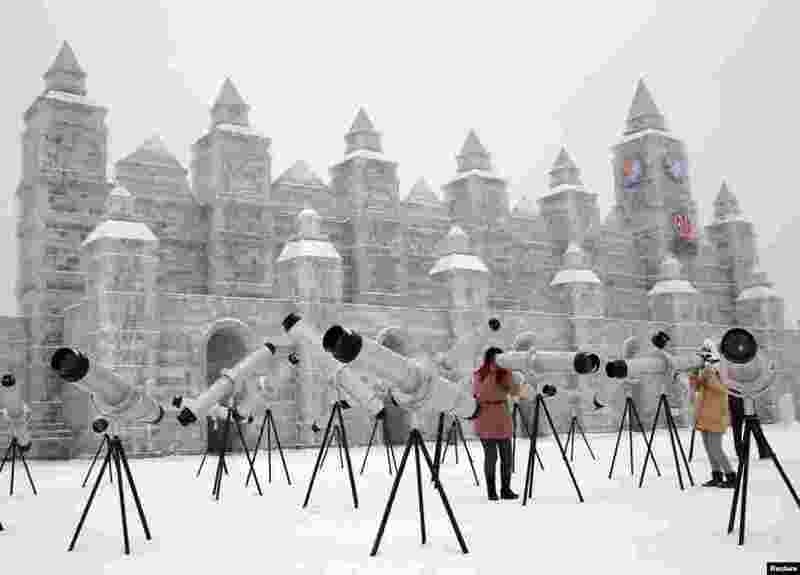 3 Visitors use kaleidoscopes which are displayed with ice sculptures ahead of the 31st Harbin International Ice and Snow Festival in the northern city of Harbin, Heilongjiang province, China. 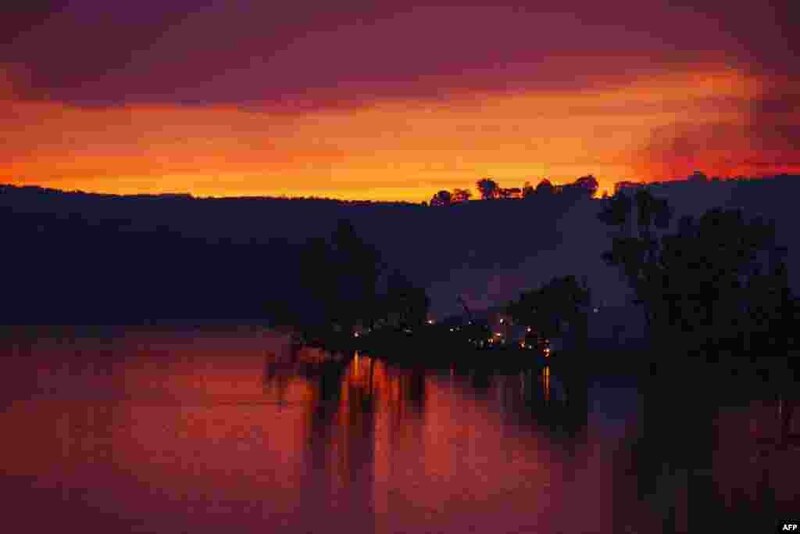 4 Embers glow against the smoke-filled sunset near Gumeracha in the Adelaide Hills, Australia, Jan. 3, 2015.